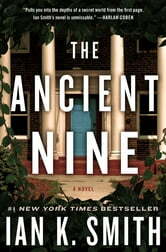 In The Ancient Nine Dr Ian Smith creates an ivy league secret society at Harvard. Dr Smith created likable characters who feel like personal friends. Fiction mixed with facts from history, with bread crumbs thrown in for the reader to follow the mystery, makes The Ancient Nine an interesting read. I was given an early copy to review. The Ancient Nine exceeded my expectations. I imagined this to be an account of students' lives at Harvard. Instead, the story reads like a Dan Brown mystery, although this fiction is based on real events. Spenser Collins is a Harvard athlete of meager means. Meanwhile, his best friend, Dalton Winthrop, is fifth-generation in Cambridge. In October, 1988, Spenser receives an invitation to attend a reception at one of Harvard's most prestigious and secretive all-male societies. Although he is not from a prominent family, he may be admitted to the Delphic Club if he passes a series of steps. The Delphic Club is an ancient society that has had leaders in politics, industry and entertainment as its members. 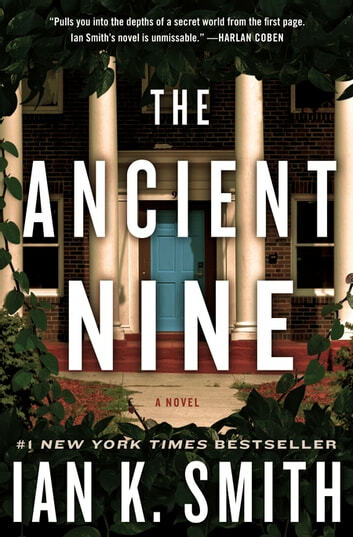 Spenser and Dalton soon become curious and begin investigating the Delphic's secret past, especially the Ancient Nine who have absolute power over the society's secrets, The book takes us all over Cambridge, into Harvard's numerous libraries, meetings at the Delphic, basketball games, etc. It is a fascinating ride and hooks from the first page. And what an ending! I look forward to reading more books by Dr. Ian K. Smith. Highly recommended. Thank you to St. Martin's Press and NetGalley for an e-ARC in exchange for an honest review.